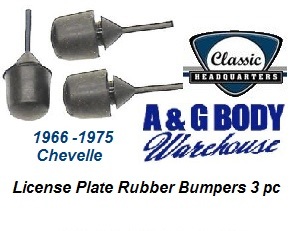 License plate bumpers for the license plate.. Set of 3. High quality rubber will last the life time of your car! Why try and remove worn or broken down GM units during paint? Simply replace them! Install is a breeze at home.